Posted in: Lansing History, People. Tagged: Christ Korkoske, Christian Korkoske, Christo Korkoske, Submarine. “A new type of submarine that looks like a big door knob, that goes as high as 50 miles and hours and that is practically destruction proof has been invented and patented by Christo Korkoske, at the Clippert-Spaulding brickyard settlement just east of Lansing. A government patent was secured Jan. 9 and now Christo wants financial; backing to put his war dolphin into the market. The submarine can be submerged in 10 seconds, whereas it takes a regular submarine 3 to 10 minutes to dive beneath the surface. The subsea ship is a model so that it would hold an enormous amount of cargo without hindering the tactics of fighting. The cannons mounted on the monitor top can be unusually large because of the shape and resistance of the vessel. Christo got his inspiration while watching some ducks in a pond. Of course his own study and ingenuity was what did it. He noticed that in swimming under the surface the webfeet took one set of movements, and then took another when they were on the surface. Enlarging the principle of the ducks, Christo constructed four propellers. Of course it would divulge his secret to explain the exact method, but it is sufficient for comprehension that these propellers are on shafts, which may be made vertical, horizontal or oblique. Different combinations of these propellers can effect all sorts of swimming stunts. For instance one end of the boat may come up first, if desired. It could be fitted with a ram for destroying the smaller enemy vessels, perhaps. These propellers are independent of one another, and even if some of them were broke off, the scheme of the operations would not be interfered with. At present the submarines have to submerge by means of drawing enough water into their tanks to make the boat sufficiently heavy to sink. Then when they wish to rise, air pressure has to be used to force this water out. But according to this new scheme this air pressure would not be necessary, although its use for extra speed and safety devices. The tilt of the propellers can make the sub-men see the daylight again. The tragedy of the U.S. submarine F-3 in the Pacific, about two years ago, was caused through the inability of the men to pump out the water from the tanks while they were submerged. If they had had propellers they could have risen without difficulty. The new device is far superior to the U-boats in several ways. First Christo’s boat can go much swifter, as fast as 50 miles and hour. Thus his device would be of wonderful use as a scout cruiser. Then, too, it provides for more stability due to the shape; is able to resist greater explosion from guns, and has capacity for larger cargoes. The whole work is done by electricity, although other power could be used. Several demonstrations have been successfully made before the patent was secure. Christo made these demonstrations for the Peerless Show company, which appeared in about a dozen Michigan cities, last fall. Since that time, he has put on numerous finishing touches. The model has just been shipped to Gladwin as Mr. Korkoske lived there before moving to Lansing. Christo claims that the boat can whoop it up to 50 miles an hour, with a minimum of 25. Thirty miles can be safely accepted as a rate until further demonstrations are made. Two U.S. naval officers went over the invention with Korkoske at Bay City and declared the contrivance a marvel. Some mechanics who have worked in the federal shipyards, he says also praised its excellence and practicability. Christo emphasizes the point that the “child of his brain” can sit on the bottom of the ocean for hours or days without the use of any power. Merely a partial filling of the water tanks can accomplish this. Such a method would be used to avoid hostile attacks or storms. Power would be conserved in this manner. He also is glad to think his type of U-boat can save more human life. At present , he says when anything goes wrong while the boat is submerged the occupants have to send a man out through the torpedo tube so that he may float to the surface and signal for help. This new scheme however, has often proved futile when tried, either because the weight of the water crushes the diver to death or because no help is in sight. The inventor is a little Pole with a high broad forehead and with a good command of English.” Lansing State Journal 2/19/1917. In all likelihood this is, Christian “Christ” Korkoske a resident of Grout Township, Gladwin County, Michigan who worked briefly in Lansing the clue is the quote “The model has just been shipped to Gladwin as Mr. Korkoske lived there before moving to Lansing”. Christian Korkoske was born in the portion of Poland controlled by Russia on April 16, 1879. He immigrated to the United States with his parents in 1895 and lived in Lansing. On December 2, 1905 Christian married Miss Florence Pearl Henry in Alpena, Michigan; the couple would have seven children. 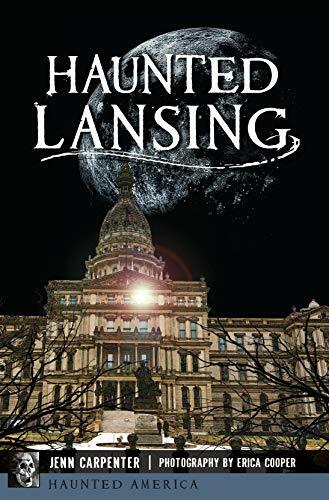 Christian worked in a variety of professions and locations, Lansing, Detroit but he always retuned to Gladwin County. Christian Korkoske passed away in Detroit from septic peritonitis after surgery to remove his appendix he was 51. There is some confusion here, the Submarine F-1 was sunk after a collision with its sister ship F-3, and the writer has mixed up the submarines. “USS F-1, first of a class of four 330-ton submarines, was built at San Francisco, California. Launched in September 1911 as USS Carp, she was renamed F-1 in November 1911 and placed in commission in June 1912. The submarine spent her entire career in the Pacific, mainly off the West Coast, but was based at Honolulu, Hawaii, between July 1914 and November 1915. She was laid up in March 1916 and returned to active service in June 1917, a few months after the United States entered World War I. On 17 December 1917, while underway off California, USS F-1 collided with her sister, USS F-3. Her hull torn open amidships, she rapidly sank with the loss of nineteen crewmen. Her wreck was located and photographed during the 1970s.” From Dictionary of American Naval Fighting Ships.